We should not blame him for keeping certain Zuma adherents in his Cabinet. He knows their time is coming – in 2019 when he starts his own term of office. 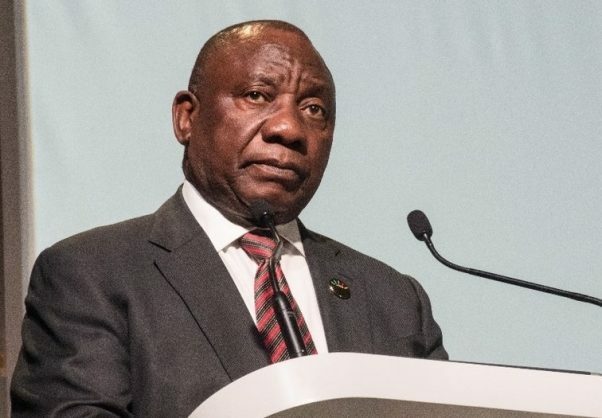 The frenzy of criticism levelled against President Cyril Ramaphosa over his lack of decisiveness in dealing with corrupt officials and politicians suspected of having their hands in the till ought to be scrutinised from a new angle. Maybe we don’t understand because we are not reading the man and his modus operandi. It may be a misjudgment of what he is up to because we don’t follow his strategy as a leader. So many analysts have trained their machine guns on him since he assumed leadership of the ANC at Nasrec last December and subsequently became the country’s president in February. Their opinion hinged on him being indecisive. Few were willing to give him the benefit of the doubt because they expected him to wave a magic wand to solve all the problems within six months. I concur that Ramaphosa began at a snail’s pace in dealing with graft and understand why some got agitated by his approach. But to me he portrays a man of procedure and consultation, and as somebody who likes to give you a long rope with which to hang yourself. 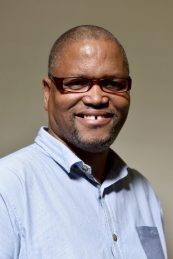 In fact, he conceded to editors affiliated to the South African National Editors’ Forum (Sanef) in May this year that the Nasrec electoral outcome required of him to consult, and on top of that, he believes in the late Nelson Mandela’s consultation approach. After our meeting at Tuynhuys it dawned on me that Ramaphosa wanted to level the playing field before the real game began. For instance, he would like to see state capture investigated and the culprits jailed. The Commission of Inquiry into State Capture would likely give the president the kind of ammunition he needs. When he announced Pravin Gordhan, the man who knows all the shenanigans at state-owned enterprises (SOEs) like the palm of his hand, as minister of public enterprises instead of returning him to finance, it was the first sign of his real intentions – to clean up the SOEs. Axe-wielding Gordhan seemed to have a clear mandate. The suspensions of three bosses at Transnet, including chief executive Siyabonga Gama, and changes already implemented to the boards of other SOEs, point to a serious plan of action by Ramaphosa. He is also fixing the National Prosecuting Authority with the appointment of Silas Ramaite after years of chaos under Shaun Abrahams. Ramaite appears cool-headed and determined. Now the focus should be on cleaning up the Hawks, which deliberately bungled cases to satisfy their political masters’ agenda. The Mcebisi Jonas revelation about Major-General Zinhle Mnonopi’s attempt to quash the state capture probe, while yet to be tested, may be the tip of the iceberg in the havoc that occurred under Berning Ntlemeza and Jacob Zuma. Perhaps we should not blame Ramaphosa for keeping certain Zuma adherents in his Cabinet, such as Nomvula Mokonyane, Bathabile Dlamini, Malusi Gigaba, Gugile Nkwinti and Edna Molewa. He knows their time is coming – in 2019 when he starts his own term of office. Ramaphosa seems to be looking beyond the horizon we all can see.